Taglines: The newest attorney at the world's most powerful law firm has never lost a case. But he's about to lose his soul. Continuity: When John Milton is talking to Kevin Lomax outside the courthouse, some of his hair begins to stand up as a result of the wind. In the next shot his hair is perfectly in place. 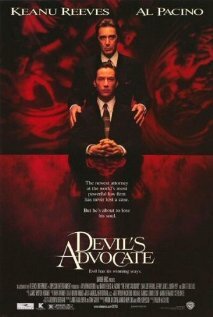 "Let me give you a little inside information about God..."
Despite the misleading title, "The Devil's Advocate" is a shocking and inspiring thriller, visually beautiful as well as thought provoking. The Devil has been portrayed thousands of times throughout the years. Every year Hollywood produces countless movies about Lucifer. Yet, there has not been a single film or book (besides "Rosemary's baby" ) that was good enough to be called interesting. Most of what we see about the subject is either regular horror films, that despite of their primitive premiss take themselves too seriously, or we watch action films of supernatural forces where the Devil is nothing more than a foul beast. In either case 90% of these movies are pure cliches - dumb and predictable. 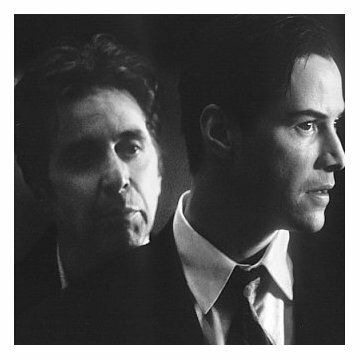 When I went out to see "The Devil's Advocate" I was expecting one of the two "genres" mentioned above. I got neither. What I saw was a fabulous, intelligent and amazing film, which engages both heart and mind. 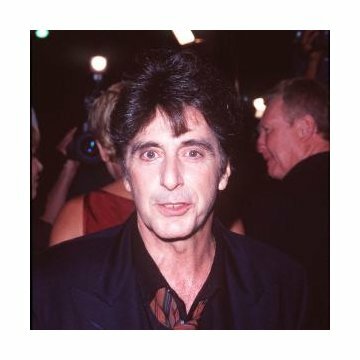 The first surprise was the cast, which can boast of Keanue Reeves, Charlize Therone and, in my opinion, the greatest actor of all-time Al Pacino. Only the fact that some of the most famous, and not to mention, talented actors of our time agreed to star in this film immediately draws your attention. Throughout the picture, you start realizing the unusual complexity of the story and script. As I have said previously, the major difference from the other films with diabolical themes, is the complexity of the story. The Devil is not shown as a ugly monster with red eyes. And the purpose of his existence is not to posses innocent children. One of the many interesting things in this film is the fact that the Devil is never really pulling the strings by himself -- he's giving people their choice, their free will to decide -- a demon whose world is our own, with all its mundane events. 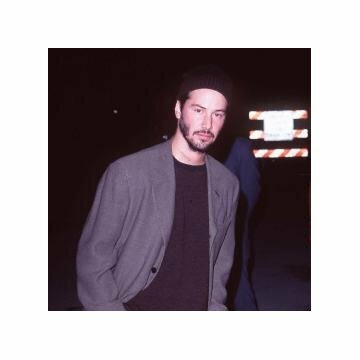 He appears in human form and presents human choices, and his greatest lure is what we have in common with him: our greed, ego, jealousy, competitiveness, lust, dishonesty. Another thing is that the director is very careful to not let the monster out of the box, so to speak, by using any images that are obvious. Things appear and disappear in a moment; sometimes they seem real and sometimes they seem like a bad dream, so that when the events in the story actually do emerge into reality, the Lomaxes don't know what's real and what isn't anymore. The third element is the fabulous production design, grand art direction and rich cinematography. These elements help creating a strange and surreal world - heaven and hell almost floating into each other. Hell is here not a blackness, haunted by ghosts and monsters, but the rarified world of New York's ultra-wealthy and privileged society.